University opened an online course of Czech for foreigners in English, German, Polish and Slovak. You can learn Czech online. More than 19% of students at Masaryk University are foreigners who need at least a basic knowledge of Czech for their daily life. Masaryk University in cooperation with other partners opened an online course of Czech for foreigners in English, German, Polish and Slovak. It is free of charge and those who would like to learn Czech as a foreign language can find it at mluvtecesky.net. Besides interactive language learning, visitors can also find useful information about the Czech Republic at the website. More than 19% of students at Masaryk University are foreigners who need at least a basic knowledge of Czech for their daily life while studying in the Czech Republic. “The level of internationalization is an important indicator of the quality of a university – that is why we try to ensure a successful study visit for foreigners and help them overcome the obstacles related to a longer stay abroad," said Ivan Malý, MU Vice-Rector. 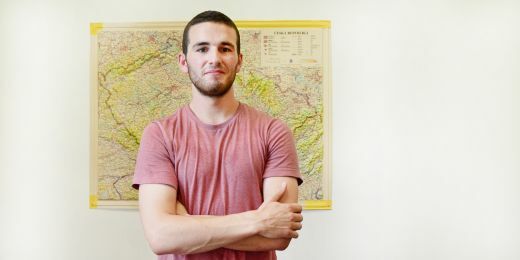 As a part of the efforts to support international students, the university provides Czech lessons to help them overcome the language barrier. Even though the online Czech course was designed primarily for those who need Czech in their health profession, it can be used by other international students as well as foreigners who work in the Czech Republic for a longer period of time. It will also be useful for those who live close to the border and for tourists. “The course is designed so that participants can complete it regardless of their age and previous experience with Czech," says Libor Štěpánek, director of the MU Language Centre that coordinated the project. The portal offers a basic online course (A1 and A2 level) and also “Survival Czech" – the very basics necessary for survival in the Czech Republic. Interactive learning materials are complemented by more than seven hours of audio, a practical in-built dictionary, an overview of Czech grammar, a discussion forum and useful information about the Czech Republic. There is also a course of medical Czech designed for students of medicine. 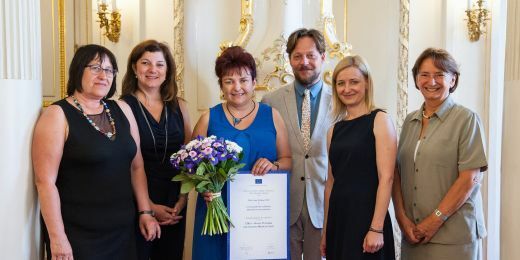 “Even those international students whose study programs are taught in English must learn Czech terminology and basics of Czech to be able to communicate with patients, whether during their studies or afterwards," emphasized Eva Táborská, Vice-Dean of the Faculty of Medicine. 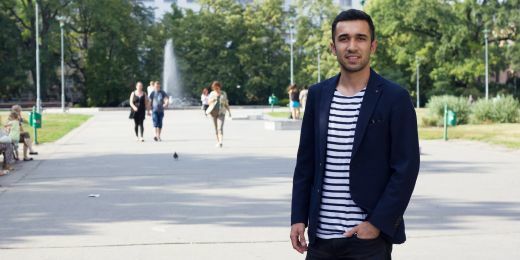 Many international students of medicine stay in the Czech Republic after completing their studies and find a job in the Czech healthcare system. The Slovaks also need to learn how to communicate with patients in Czech properly. The development of the mluvtecesky.net portal was led by the MU Language Centre in cooperation with Studio GAUS from Berlin, Association of Teachers of Czech as a Foreign Language, Fachhochschule Burgenland GmbH from Eisenstadt, Uniwersytet Śląski from Katowice and Edukácia@Internet from Partizanske as a part of a project funded with the support of the European Commission Lifelong Learning Programme. The cost of the whole three-year project was less than nine million Czech crowns.